Is your home in Rockville, Maryland, in need of basement waterproofing or water management services? If so, put your trust in the experts at Allmaster Home Services. Since 1987, we have helped countless homeowners throughout the region solve their water management issues with our customized solutions that are formulated to suit the unique needs of their residences. As a family-owned and -operated business, we treat each home we work on as if it were our own, and as a result will never try to push a cookie-cutter quick fix on you. 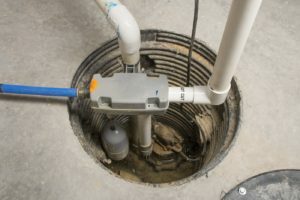 Our expert team will thoroughly evaluate your home to accurately assess the issue and what’s causing it, and will then propose a basement waterproofing plan that works best for you. For more information on the many basement waterproofing and water management services we provide for homeowners in and around Rockville, MD, contact Allmaster Home Services today.